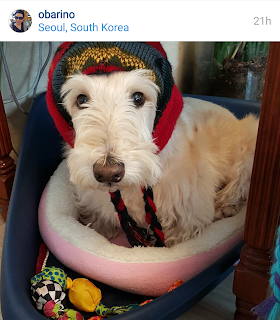 Buckle up, friends! We're going for a lot more rides. 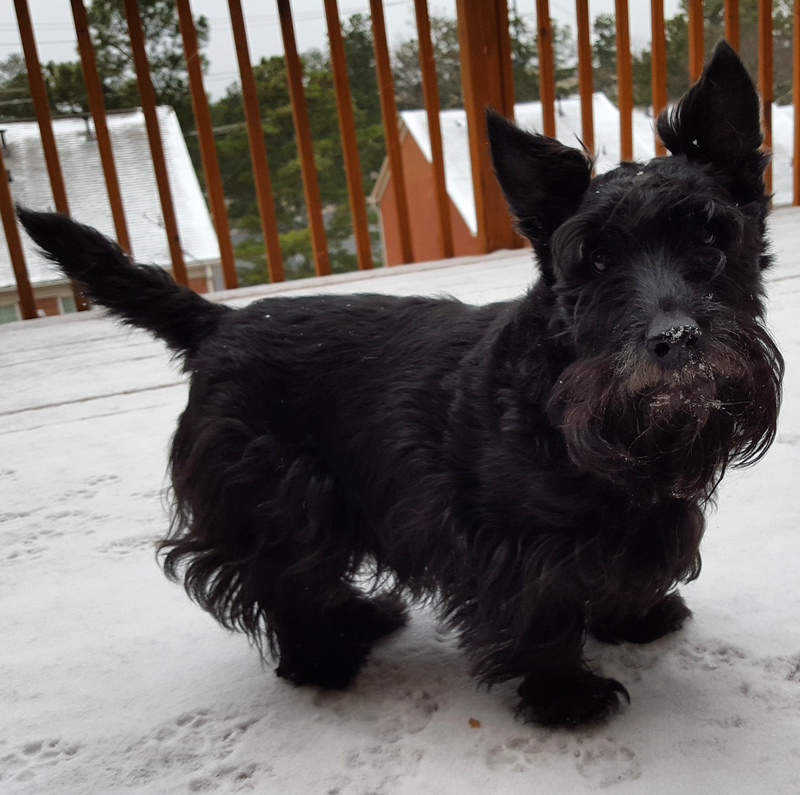 The infamous Scottie Mobile that left Heather, Mr. K and me stranded on the side of a highway and got me through Snowmaggedon '14 took its last spin after 162,103 miles and 10+ years of service. It officially has been retired. 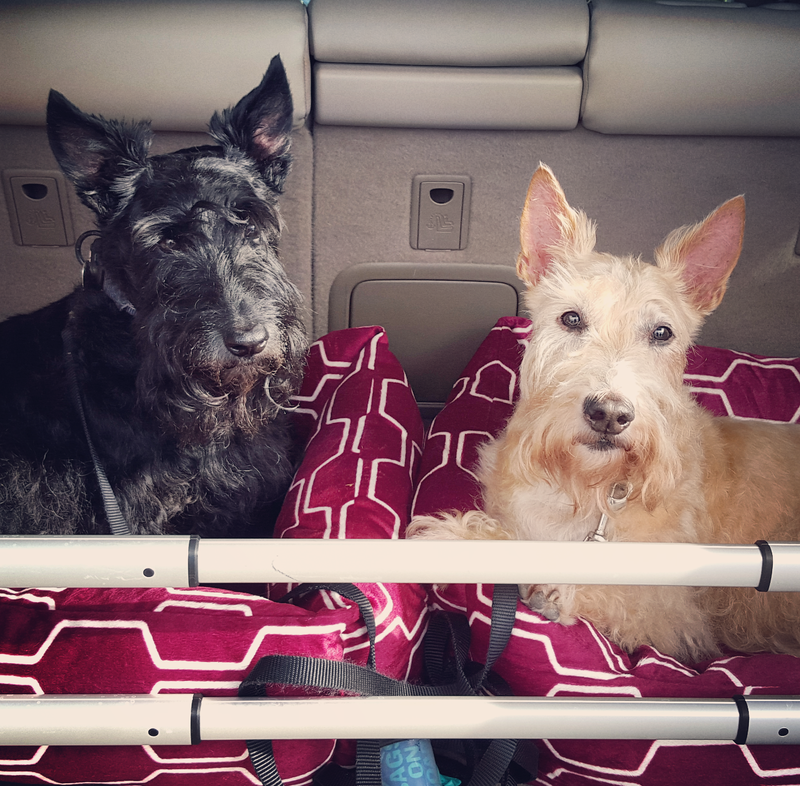 The traveling Scots wanted a spacious vehicle fit for two Scottish Terriers (or more!). 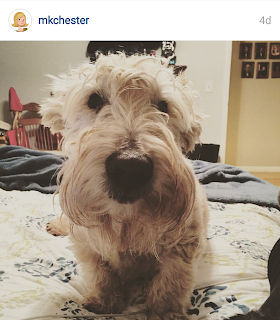 Comfort was key, too, in the decision making process as road trips are a relatively frequent occurrence for us. 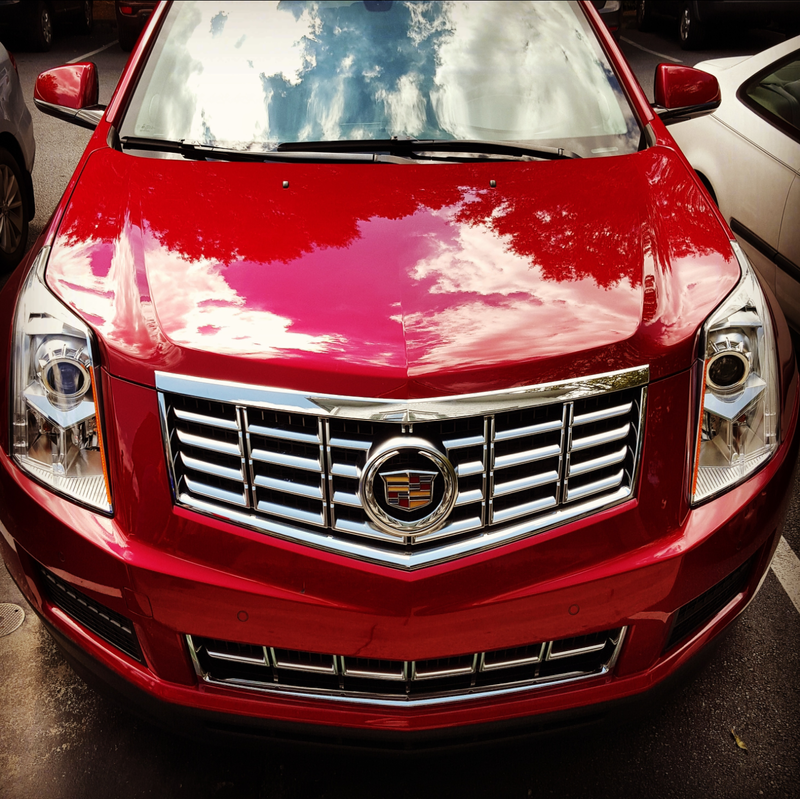 Alas, we'd like to introduce you to The Big Apple, a used Cadillac SRX we settled on to serve as the new Scottie Mobile. Averaging just 22 MPG since I've owned this beauty, it is not the most fuel efficient vehicle but it certainly offers Heather and Mr. K considerably more space than our previous Scottie Mobile - a two-door, 2003 Pontiac Sunfire - did. 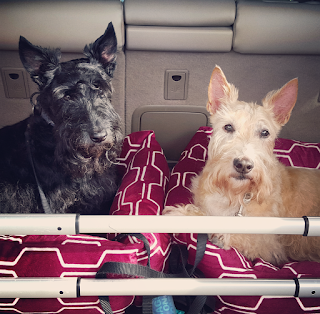 We learned quickly that leather seats weren't going to work for Heather and Mr. K without a proper doggie seat belt contraption installed but The Big Apple does have one neat feature we use while we research the safest seat belt options: a secure space for Scottie beds! 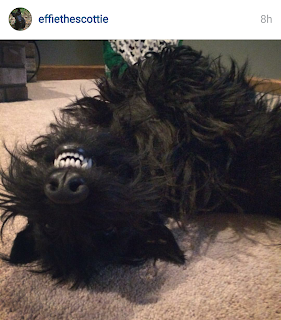 In the back of the SRX, Heather and Mr. K can rest in their Scottie beds and I can have some peace of mind knowing they're safely secured with the help of an adjustable "cargo fence." 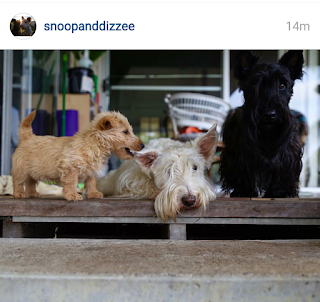 Of course, this is just an interim solution. We haven't been able to travel nearly as much as we have in the past (but are hoping to take The Big Apple out for some adventures soon - please leave us suggestions for long weekend getaways!). 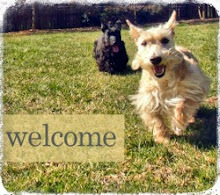 So far, Heather and Mr. K have only ridden in The Big Apple to visit the V-E-T, which is right down the street, and the groomer a few times. 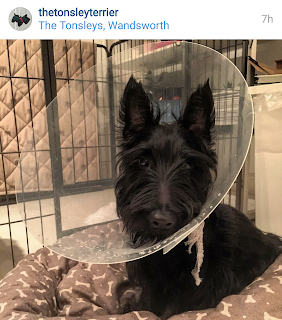 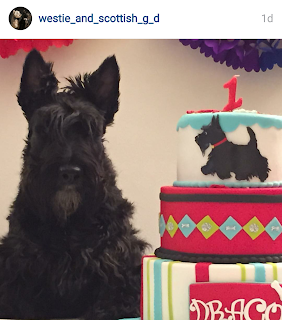 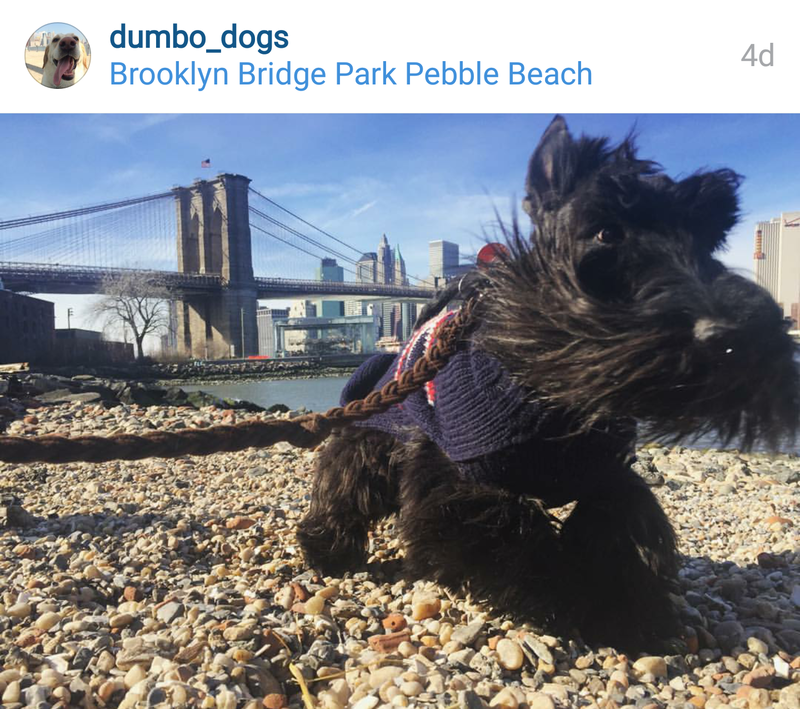 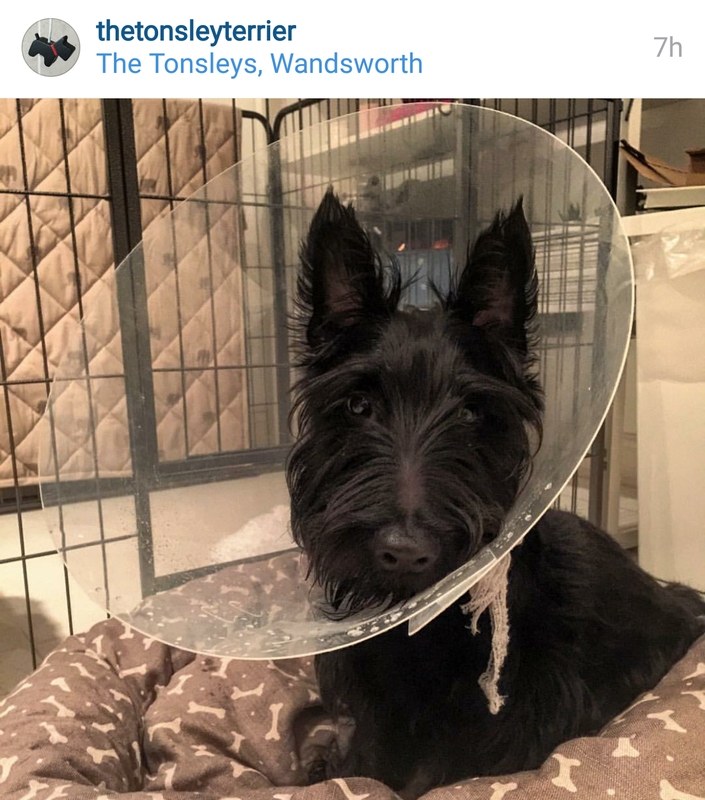 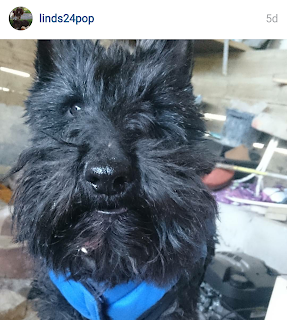 What do you use to keep your Scottie safe on road trips? Any other road safety tips and tricks you have to share? 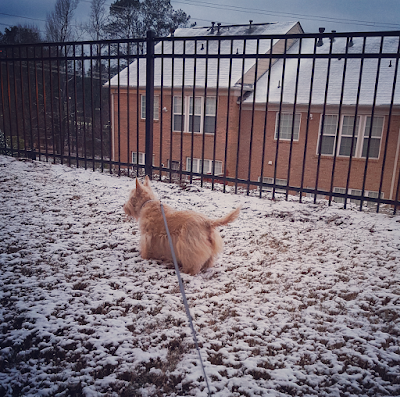 We don't often get snow in Atlanta but when we do, the effects can be somewhat catastrophic. 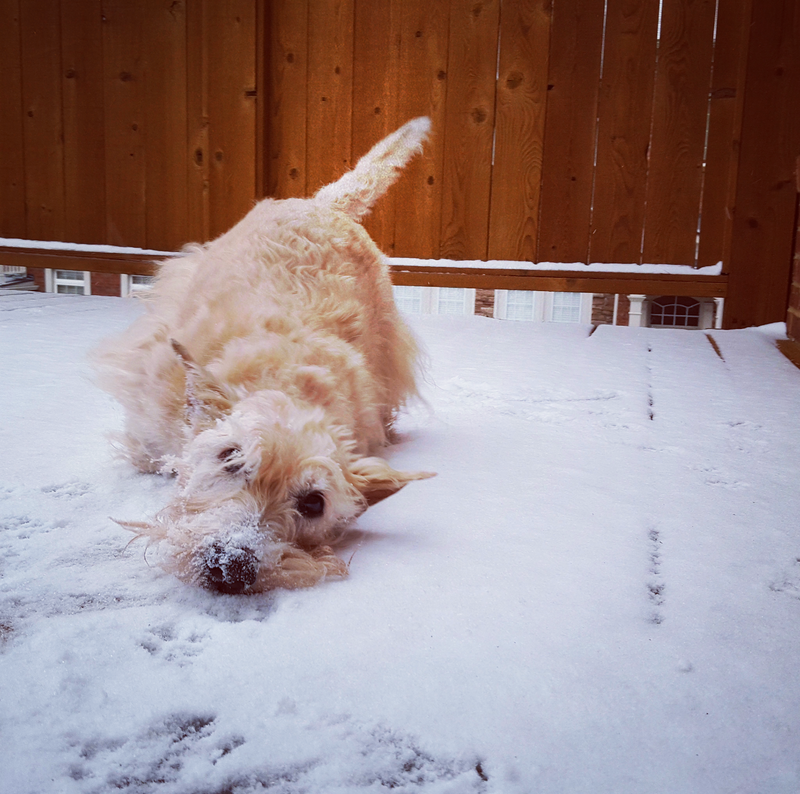 Remember Snowmaggedon of 2014? 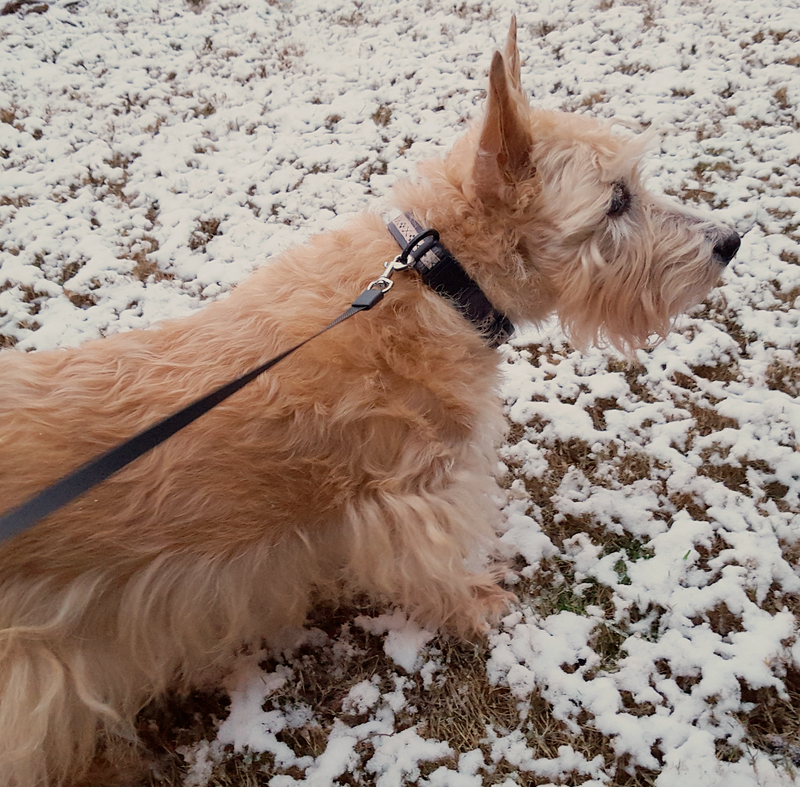 Fortunately, we didn't have to relive that nightmare and I was home with Heather and Mr. K as the snow came down. While our friends to the northeast of us surely got hit with a lot more of it, Heather and Mr. K were excited to spend some time burrowing their noses in the fresh snow. 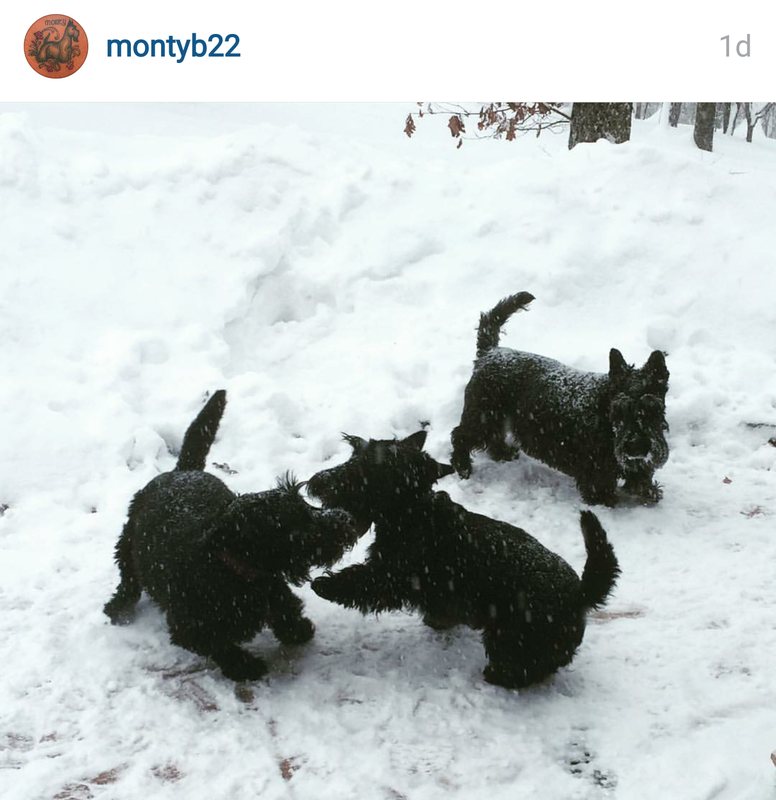 And I was happy to watch them indulge in this small pleasure. Had the snow fallen more, I have no doubt Heather and Mr. K would have been rolling in it. 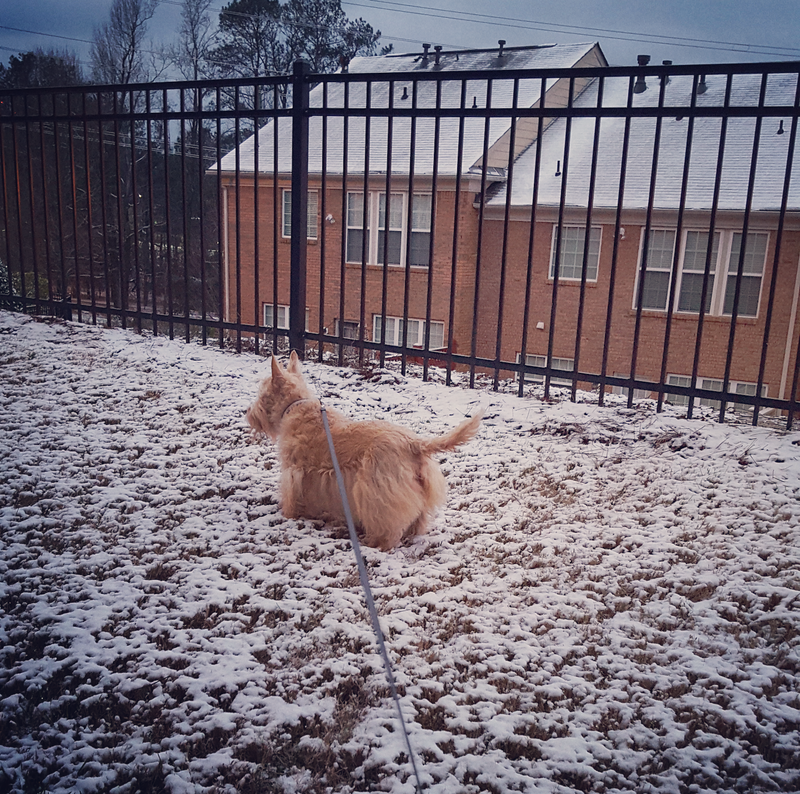 Perhaps then I would have gotten to witness the snowballs that attach themselves to Scotties' skirts for the first time! 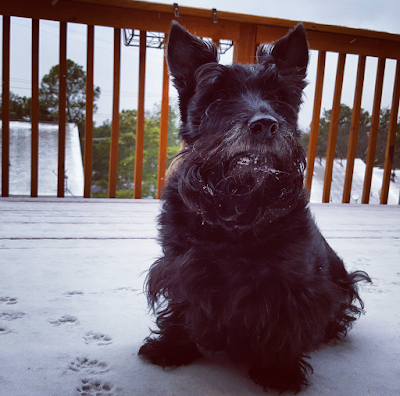 It was hard to keep Heather and Mr. K still long enough to brush the snow from their nose and beard. 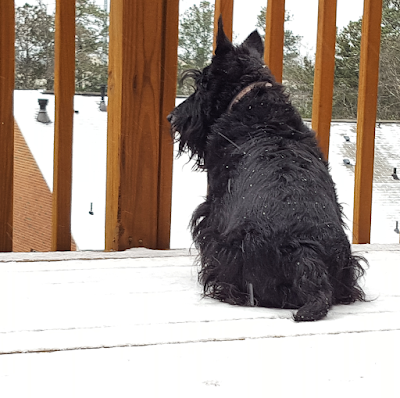 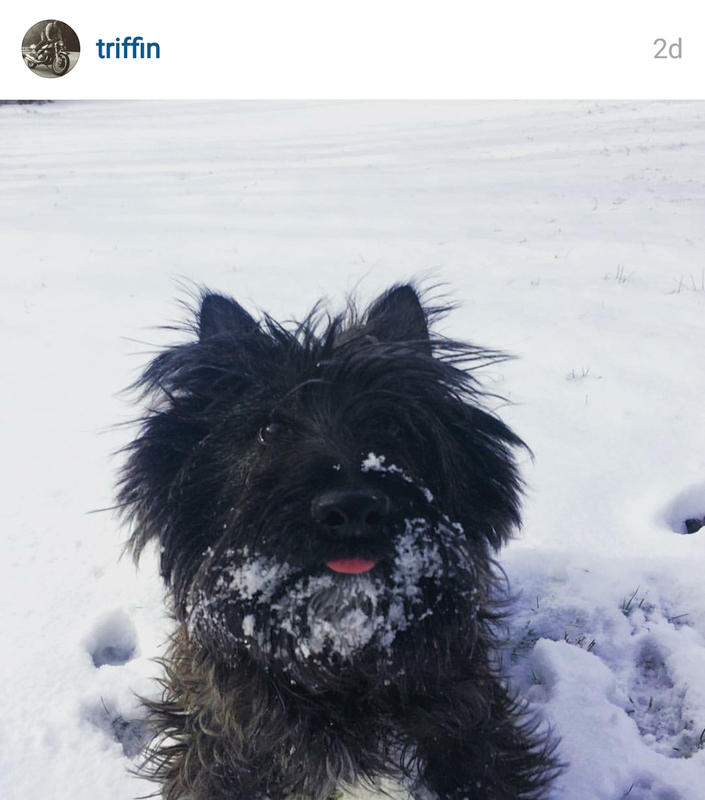 I cannot imagine what some Scottie Moms and Dads must do to get all the clumped snow out of their Scottish Terrier's skirts! 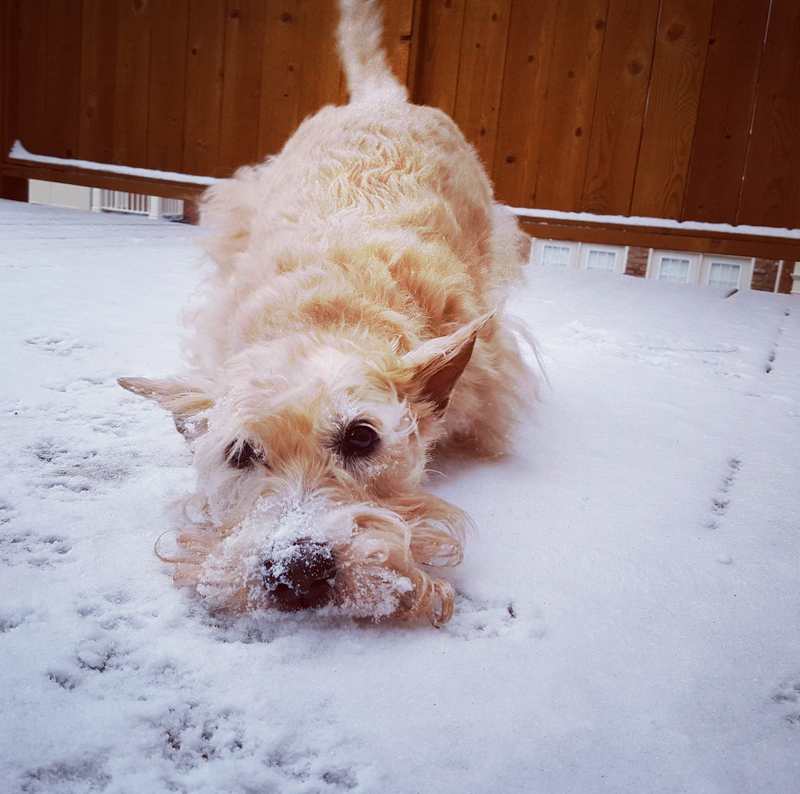 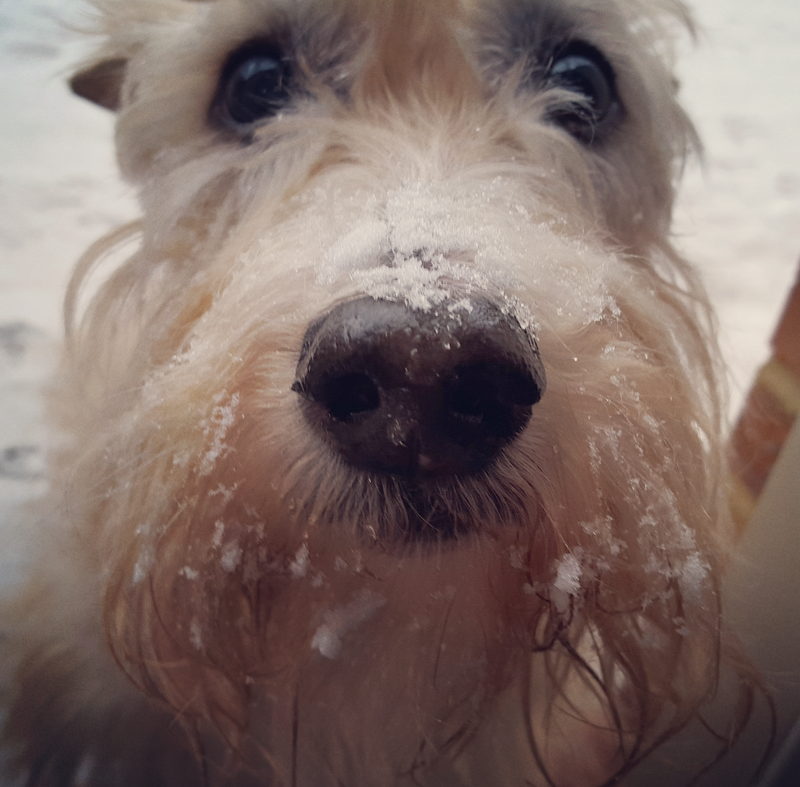 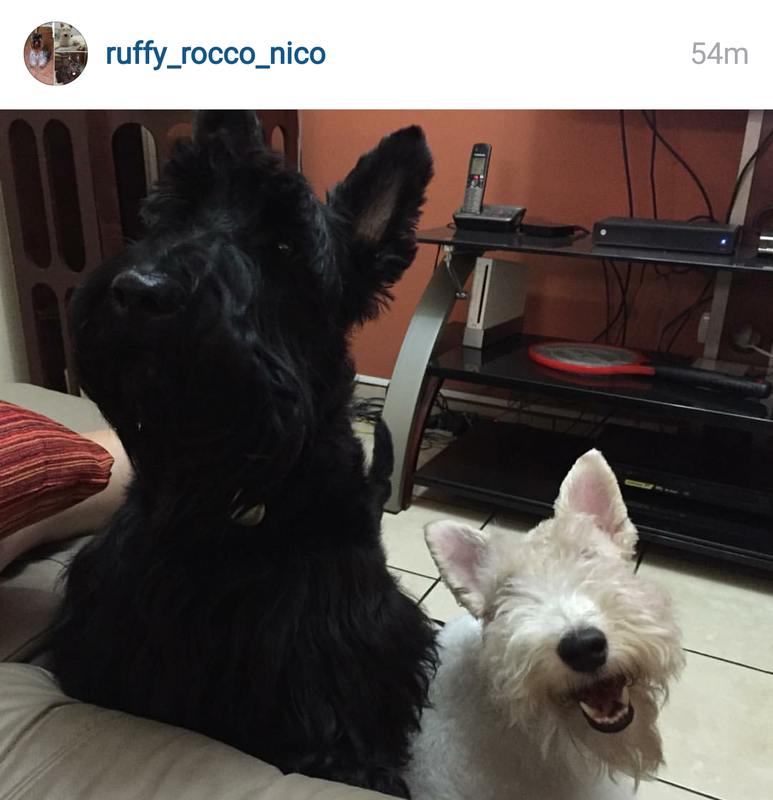 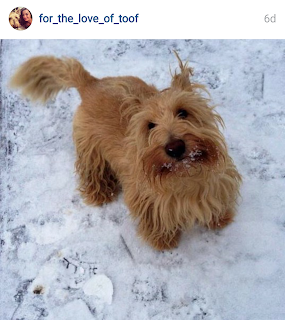 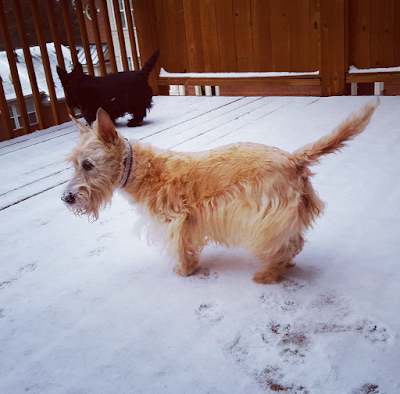 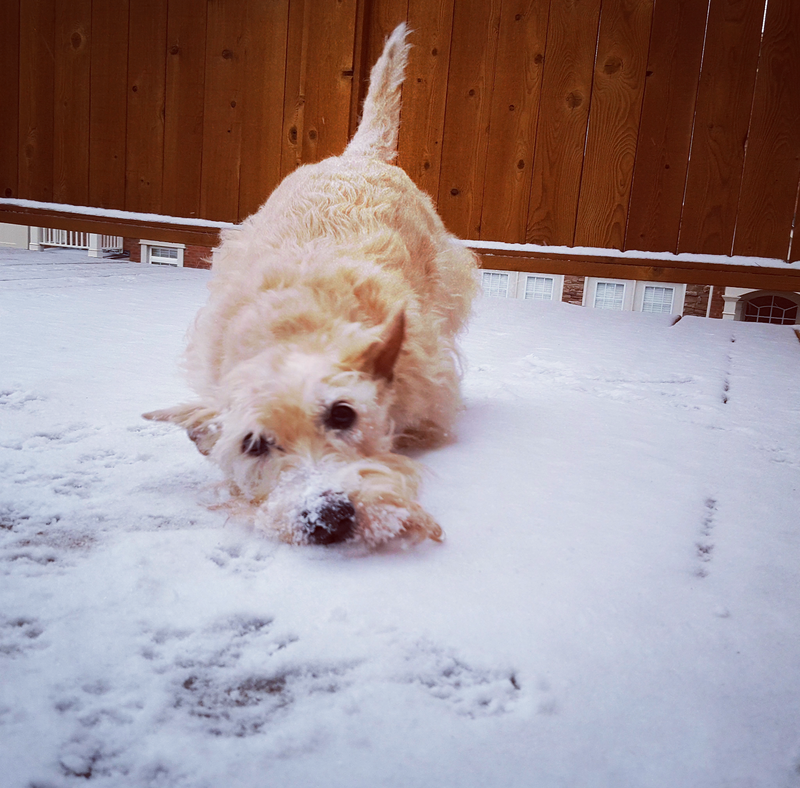 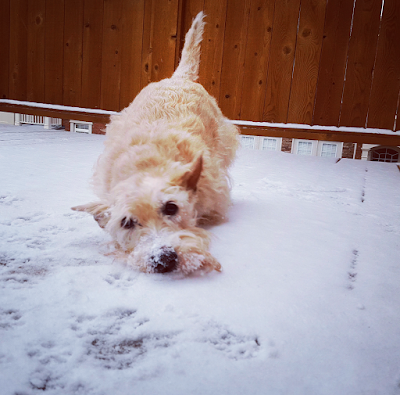 Have photos of your Snow Scotties you want to share with the community? 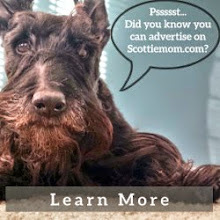 Post them to our Facebook page or tag @TheScottieMom on Twitter or Instagram!